Casey Affleck was awarded Best Actor, and Kenneth Lonergan won Best Original Screenplay. 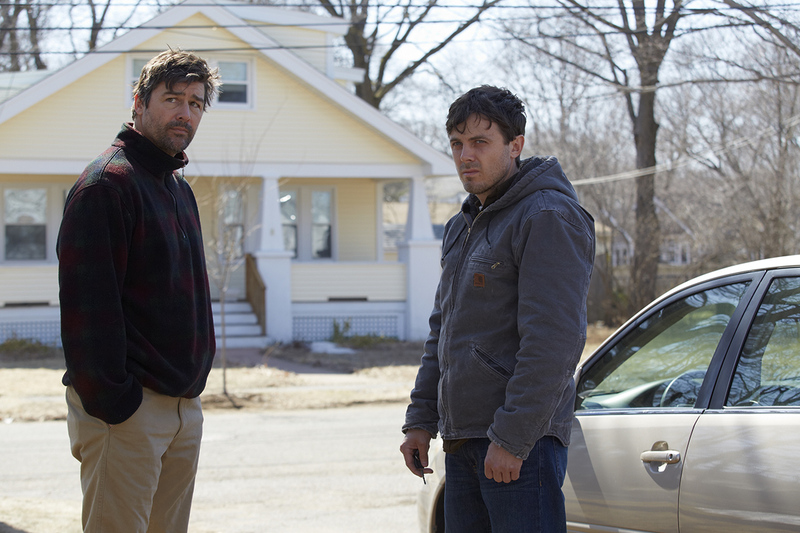 By Spencer Buell·	 2/26/2017, 11:41 p.m.
Casey Affleck and Kenneth Lonergan have both won Oscars for their roles in the Massachusetts-based drama Manchester by the Sea. Director Kenneth Lonergan was awarded Best Original Screenplay, securing the Massachusetts-based film its first award of the night. Then came Casey Affleck’s award for Best Actor. Both were first-time winners at the Academy Awards. The tragic drama, filmed all around the North Shore and starring a son of Boston, had six nominations: Best Actor (Casey Affleck), Best Picture, Best Supporting Actor (Lucas Hedges, Best Supporting Actress (Michelle Williams), Best Director and Best Writing (Lonergan). Congrats are in order for Matt Damon, the Manchester producer and a longtime friend of Affleck’s. Damon passed up the opportunity for the part, and starred instead in Great Wall. Oscars host and nemesis Jimmy Kimmel roasted him for that during his opening monologue tonight. “Smooth move, dumbass,” Kimmel said. Moonlight won Best Picture. Mahershala Ali, of Moonlight, took home Best Supporting Actor, and the Best Supporting Actress award went to Viola Davis, of Fences. Best Director went to Damien Chazelle, of La La Land.